I recently got a box with Arduino components from someone who didn't want it (in part, because the manual was (probably) in Chinese). However, to my surprise, I could not find this kit on the internet. I would like to know: is this a copy of another kit? Or, is there documentation available for this particular kit? My name is Bing Zhu. 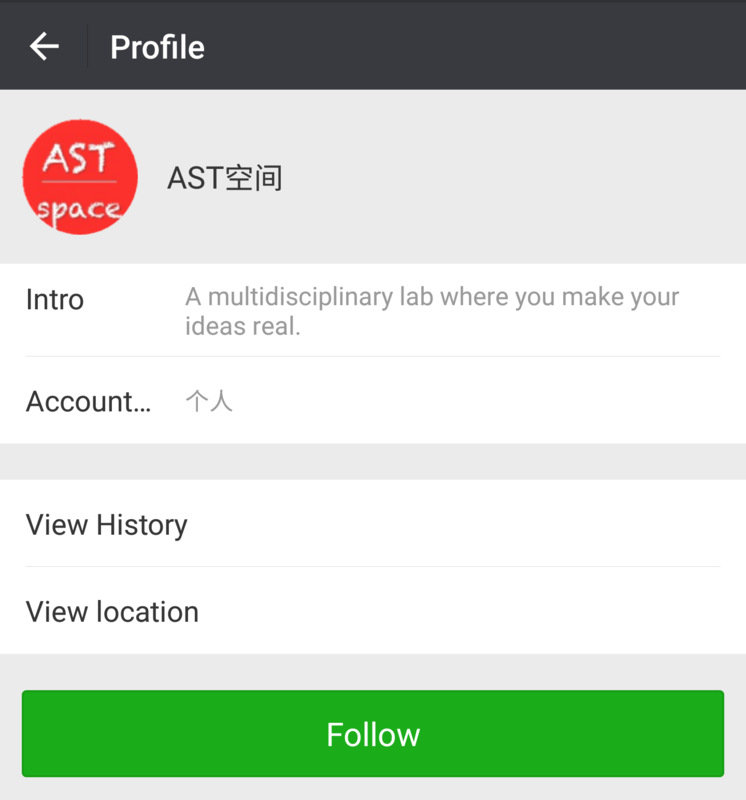 I the host of ASTSpace a community open lab sponsored by Zhejiang Association for Science and Technology(ZAST). AST is situated inside the Zhejiang Museum of Science and Technology. We are non-profit. 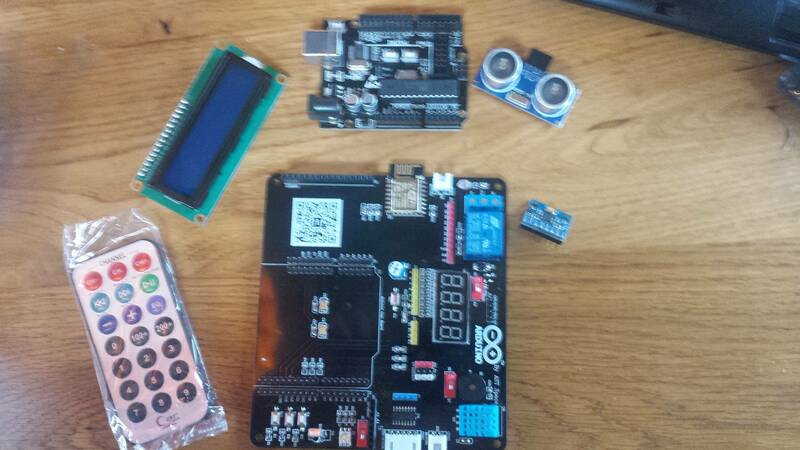 The Kit you have gotten must be from someone got it free at one of ASTSpace's events. I remembered that we had brought some with us to the Manchester Science Festival where we did a tinkering activity for the public, 3 years ago. 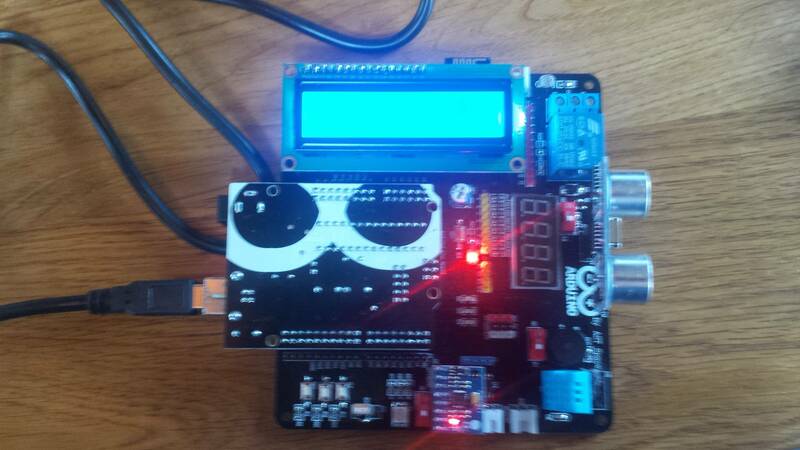 This kit was designed by one of our members who is currently a Ph.D. student of automation at Zhejiang University. It was developed for the purpose to increase public experiences in a 90 minutes session. Therefore, in order to shorten the time of wiring while most times participants with no backgrounds or exposures to electronics make no sense anyway, we purposely had most of the functioning parts soldered on. In this way, we think it would be more manageable as well for teaching as most times one instructor has to manage more than a room full of over 25 participants. Making sure that parts are connected and in place can be a life-saver. We had it designed this way so the kit can be used in classes by schools in remote areas. These kits are given away and the introduction sessions are free to the public, and we intended to provide online help to those who decide to venture on with this kit at their own time. But, it never took off for time and resource restriction. With this kit we have gone through two major cities in the Zhejiang Province and 4 remote rural areas. All our expenses are supported by ZAST through two projects, one to make it and one to distribute it. When we did what we did, it was always for the public to know electronic control and coding was made easy by Arduino where it was first invented by an Italian who wanted to teach artists electronics. This kit was used to demo how easily and readily everything can be controlled and through these electronics, we can take the parts of the physical world into our hands to follow our wills. We did use it to demo the on and off lighting system of the entire science center and controls of a remote camera inside the security room. 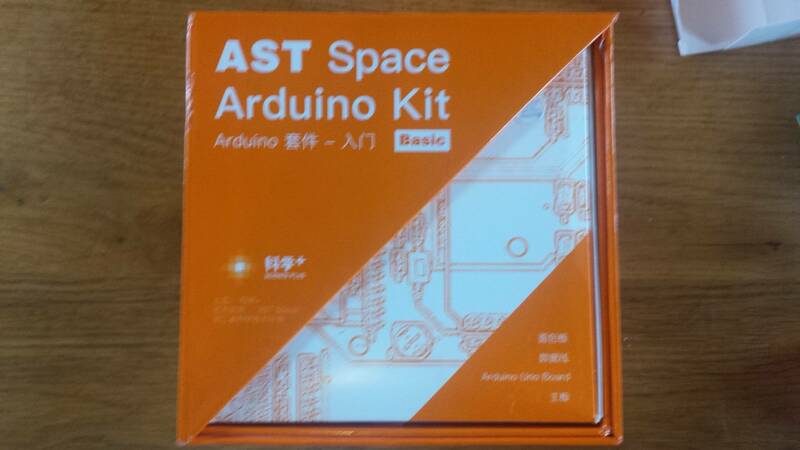 So, ASTSpace Arduino kit is a tailor-made kit for a specific purpose. We did not change anything but redesigned the wiring of the sensors for easy use for our events. AST stands for Art, Science and Technology. 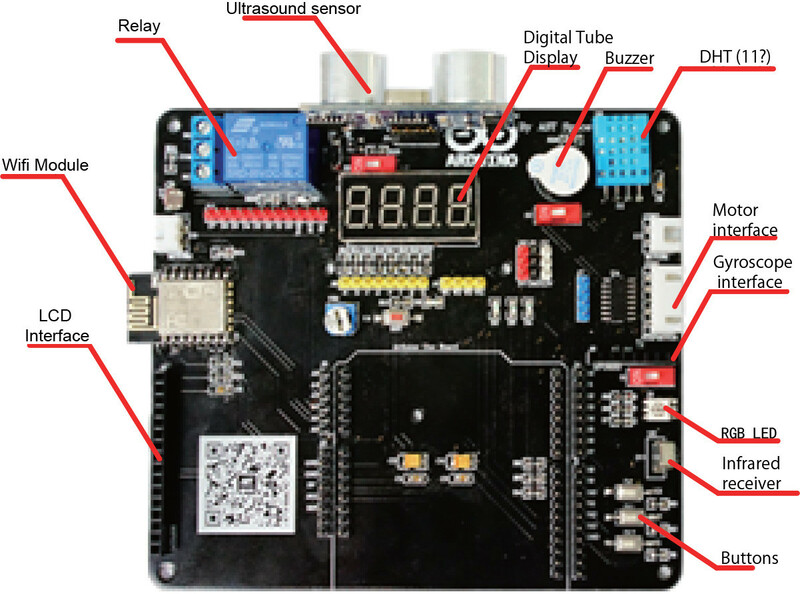 The learning kit is produced by AST Space who also run maker competitions. On http://astspace.org/ you can download a PDF related to this AST Space Kit[rar archive]. I took the schema in the PDF and translated in English. Looking at the examples (see below), it looks like the "Wifi Module" is an ESP8266. The QR code in the PDF is actually readable, but you have to scan it in WeChat (a social platform that mixes chat, Instagram and shopping). 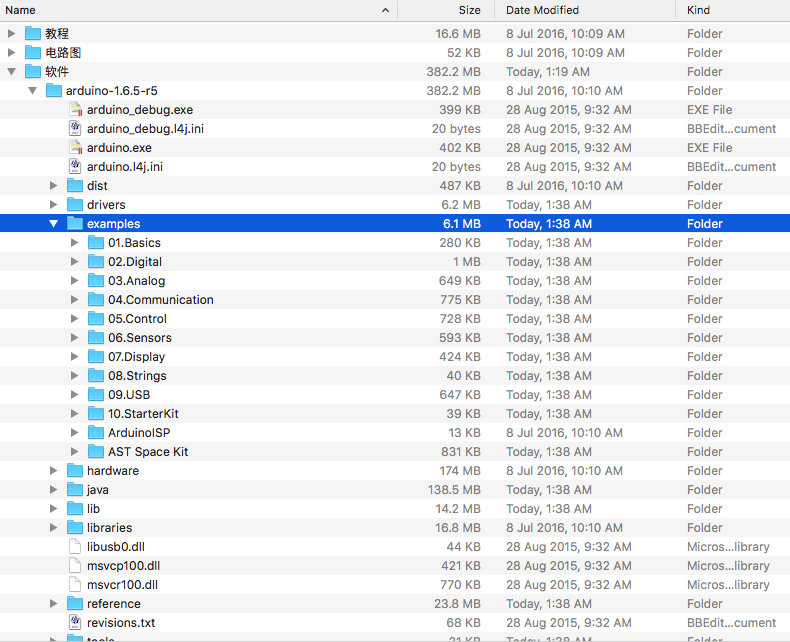 The download mentioned above contains schematics and sample code. Download that and you should have a much better understanding on how to use it. Not the answer you're looking for? Browse other questions tagged arduino-uno shields or ask your own question. Can I drive this relay shield with an Arduino Due? Why does this code show me a lot of space? What is the necessity of “Prototyping Shield” for an arduino UNO R3? What is the wiring of arduino motor shield to Nano? Who makes this cool Arduino display shield, and what model is it? How do I free up space on arduino Yun shield?